Elizabethtown Wills, Probate, Trusts and Estate Planning Attorneys, Hester, Grady and Hester PLLC, has protected our clients wealth and estates for over fifty years in Bladen, Brunswick, Columbus, Robeson and New Hanover Counties. We understand how hard you’ve worked to accumulate wealth, pay off your mortgage and put some money aside for your family. We’re dedicated to helping you protect your estate and to leave as much to your loved ones as possible. Our Elizabethtown Wills, Probate, Trusts and Estate Planning Attorneys have the experience necesssary to help you plan for the future with strong legal advice. 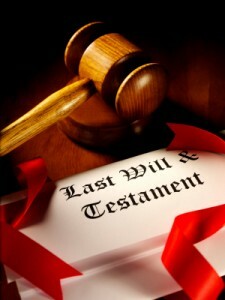 What are wills, probate, trusts & estate planning and why are they important? Wills are the most common way that an individual can clearly state their intentions as to how their estate will be handled. Wills greatly help loved ones understand the intentions of the deceased and speed up the process of transferring property and avoiding tax burdens. Wills describe the estate, determine who will receive specific property and can even specify instructions regarding care of minor children, charitable donations and the creation of posthumous trusts. By hiring an experience attorney, you can help to ensure the will is binding and legal and that your wishes will be carried out. Probate law governs the process of transferring property upon the death of the owner after the property is collected, certain debts are paid from the estate and the remainder of the property is then distributed. The probate process can usually be avoided if the individual takes proactive steps to set up their estate in a way that handles some of these legal concerns prior to death. Examples of these are joint ownership with the right of survivorship, gifts and revocable trusts. A trust is an estate planning tool that can either replace or supplement a will in addition to managing property during life. The property owner typically transfers legal ownership to a person or institution (trustee) to manage the trust for the benefit of another person (beneficiary). Trusts are categorized in two main ways; testementary trusts and living trusts. Which type of trust you should set up should be discussed with your attorney as all individual situations are different. Estate planning helps not only to have a legal and well planned direction for your estate after you pass but also helps minimize taxes and fees, sets up the ability to make sure your health care wishes are followed, manages your estate and distributes assets to your heirs. From a financial perspective, estate planning coordinates what will happen to your home, retirement accounts, business, real estate and other property if you become incapacitated or die. The first step in determining how to preserve your estate and have your wishes honored is to hire a competent, state bar associated attorney. The cost of hiring an attorney is minimal when compared with the financial costs and emotional distress it may cause your family. Hester, Grady and Hester PLLC is ready to help and answer any questions you may have, please contact us.